While the likeness of these 9" action figures were excellent, Mattel fell short by reusing the bodies from the Sunshine Family series of dolls. The outfits weren't exactly show accurate either, the colours on Bergman and Russel were an attempt to make the series "More Toyetic". 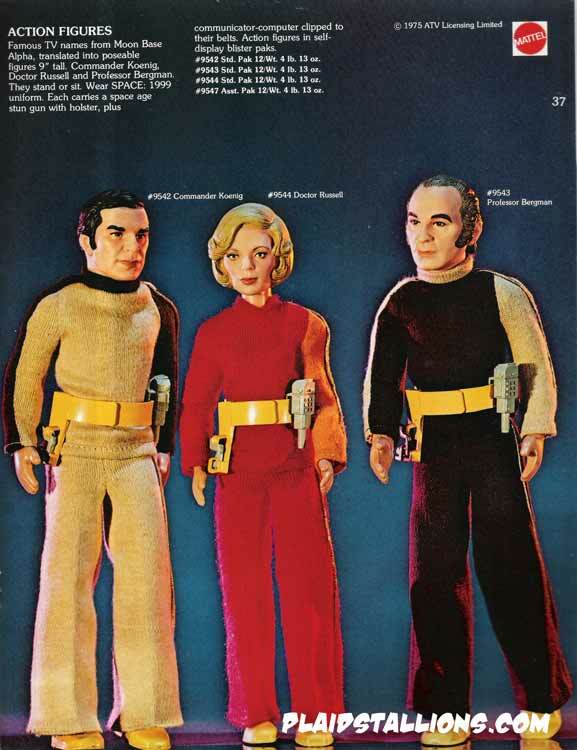 Mego did a much better job in the UK with their range of Space:1999 action figures. In 1977, Mattel would expand this line to add an Alien, the Zython which never appeared on the series. Long thought unreleased, Zythons have been cropping up in Germany of all places. 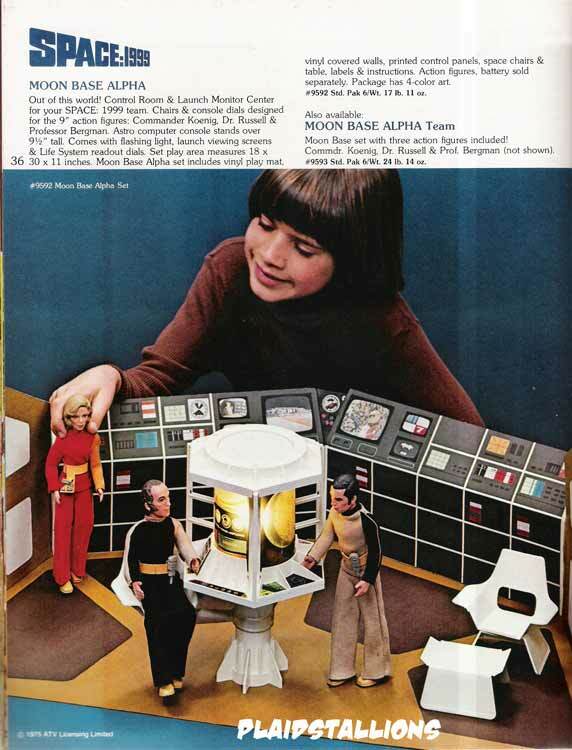 The Moon Base Alpha playset however is pretty amazing, a sweet piece of 70's vinyl that's pretty show accurate save for the "Star Flash" computer in the middle, which is in actuality a recycled piece from Mattel's Major Matt Mason line.